We have continued to manage our ranch to produce the wild quail population even during the past drought but during the past two years with the abundance of rain the quail population has exploded. Even though the birds have came back in great numbers we only scheduled one hunt in the 2016-2017 season and during a 2 hour period their dogs had pointed 10 coveys of birds. Covey numbers were ranging from 15-25 birds. Our Ranch provides some of the best wild quail hunting in Texas. Whether you a dog trainer who wants to train a dog on real birds or just an avid bird hunter looking to pursue great hunting. 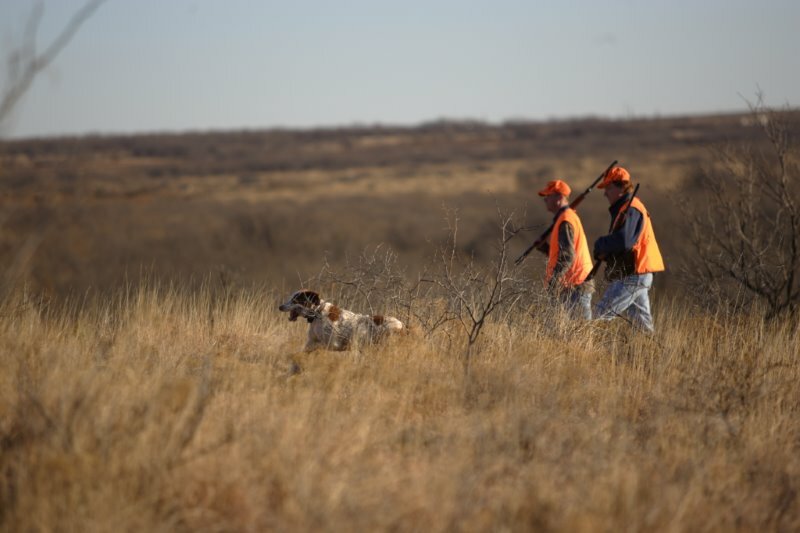 Let Ranger Creek Ranch provide you with a Upland Bird Hunting memory of a lifetime. 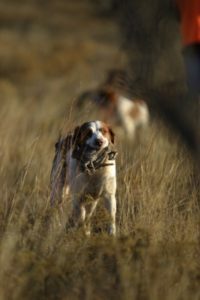 Wild Quail Hunt: 2 days hunting, 2 nights lodging $350 per person. Ranger Creek Ranch will require paperwork to indicate # of coveys, # birds per covey, and harvest #’s to help manage the birds.